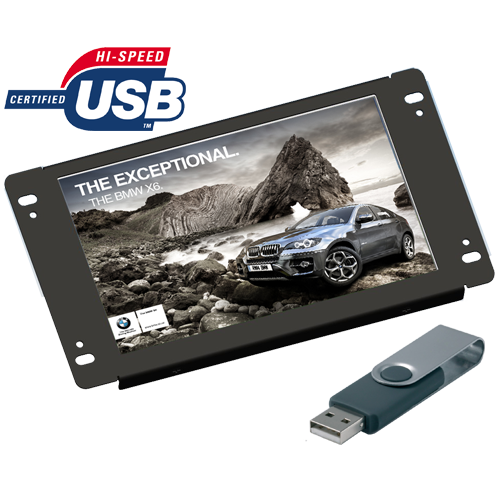 The Lilliput AD701/USB is a 7 inch open frame 16:9 LCD video advertisement playing system which can play video files directly from USB stick onto its small, high definition screen. It can be used for simple rolling static advertisements, video loops, or for keeping up to date with local information. AD701/USB is a simple system that uses a locally modified USB memory stick to update your content. Modify your ad content - save to the memory stick and then plug and play.